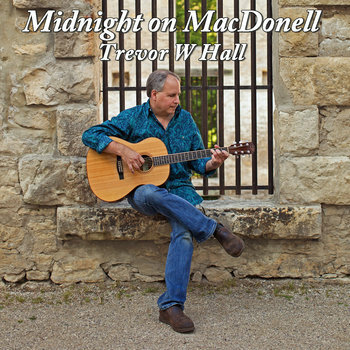 Trevor W Hall is a Canadian musician/writer who self-produces his own music. He released his first album, Mistaken Identity, in 2013 and a second, Northern Lights, in 2014. These albums both move smoothly through many musical styles and are marked by thought provoking lyrics. Trevor has been playing guitar since he was 13 (learning from the “Quick-Pickin’ ‘N Fun-Strummin’ Home Guitar Course” Kenny Rogers was advertising in an infomercial) but dove into songwriting head first around 2006. The spark that started the songwriting fire was learning to record music. With a full studio at his disposal and help from some talented friends he is able to capture his musical ideas while they’re still fresh. Trevor’s primary musical goal is to put inspiring music into the world. An upbeat funky song that will get your heart going!